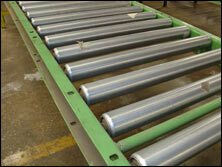 A&A Surplus Inc. will build used pallet racks from used uprights, beams, and wire decking. 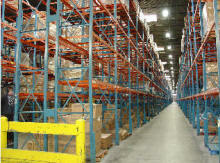 The savings potential on used pallet racking is often as great as 60%--a one-time, up-front investment that is something that can significantly streamline and lower inventory management costs. 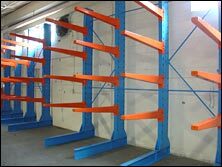 Both fabricated and structural used pallet racking are available nationwide to companies specializing in storage, distribution, and manufacturing. 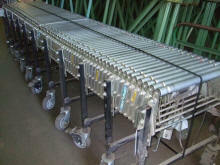 A&A Surplus Inc. can order or build used pallet racks in custom sizes specific to the needs of the client and the facility, including such places as distribution centers, harbors, and construction sites. 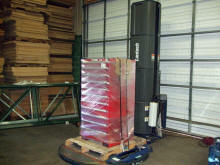 In spite of the current economy, we see used pallet racks rising in high demand. This is because both distribution and manufacturing has slowed down in many places, and the need for precision in storage and inventory control has increased. Retail distribution centers have particularly invested in used pallet racking systems because they anticipate many areas of the country will be very hard hit during Christmas from exceptionally low sales, and that a resulting surplus of inventory may pile up. In other areas, storage facilities in cities like Los Angeles, New Orleans, Houston, Dallas, Philadelphia, Miami, and New York are using pallet racks to better streamline the efficiency of inventory control. While buying any type of storage equipment may at face value appear to be a move that is just too risky to make in this economy, used pallet racks are probably the most recession proof and practical investment to make at this time. Without strict inventory control and smooth process flow, companies can lose large sums of money. 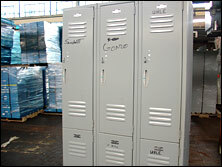 Moving costs are often much higher than the cost of racking, and the advantage of a custom-built storage solution offers the obvious benefit of transforming available floor and vertical cube space into organized storage and access points that make it easier to keep track of products and materials. Used pallet racks that have been customized to specific industries and facilities also make it easier and safer for employees to access materials that are stored in the racking itself. 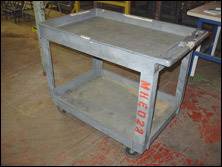 A&A Surplus Inc. material handling designers have built such systems for clients all over the nation, using basic blue prints and CAD drawings sent to us by our clients looking for something beyond the generic at affordable prices. Another important factor we always take a great deal of time to consider is the method of fabrication used to build the pallet racking system. 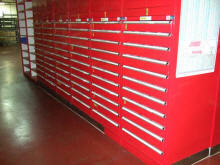 Different types of storage requirements call for different methods of fastening beams, uprights, and decking together. Currently, the most widely used style is the teardrop boltless design that features an ease of assembly and a sure, reliable support system that maintains a safe as well as efficient storage environment. 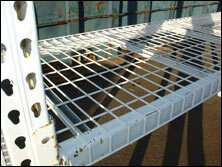 In spite of the current economy, we see used pallet racks rising in high demand. This is because both distribution and manufacturing has slowed down in many places, and the need for precision in storage and inventory control has increased. Retail distribution centers have particularly invested in used pallet racking systems because they anticipate many areas of the country will be very hard hit during Christmas from exceptionally low sales, and that a resulting surplus of inventory may pile up. In other areas, storage facilities in port cities like New Orleans, Houston, Philadelphia, Miami, and New York are using pallet racks to better streamline the efficiency of inventory control. 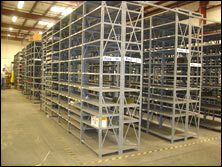 A&A Surplus Inc. offers a wide variety of new & used gondola shelving, used pallet racks & cantilever rack. 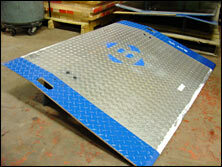 If you can not find what you are looking for call us toll free at 800-826-5326 and we will find it for you. Our home office is located in Plantsville, Connecticut with warehouses located throughout the United States that enable us to service all 50 states including New York NY, Los Angeles CA, Miami, FL. Chicago, IL. Denver CO., New Orleans, La., Cleveland, Ohio, Kansas City, Mo., Mesa, Arizona, Virginia Beach, Va., Omaha, Nebraska, Oakland, California, Miami, Florida, Tulsa, Oklahoma, Minneapolis, Minnesota, Colorado Springs, Colorado, Arlington, Texas, Beaumont, Texas, Denton, TX, McKinney, Texas, Midland, TX, Killeen, Texas, Dallas TX, San Antonio, TX, Austin, TX, ALBQ, NYC, LA, MPLS..